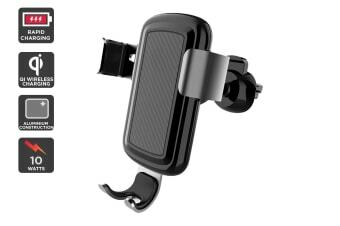 Keep your eyes on the road and hands on the wheel with this convenient, wireless charging mount for your Qi-enabled smartphone. 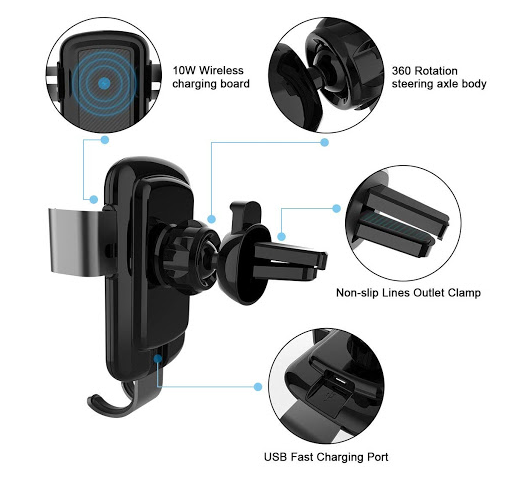 Glancing down at your phone in your lap for directions every few seconds is not only dangerous but illegal, so access your phone the smart and safe way with the Kogan 10W Qi Fast Charge Gravity Car Mount. Qi technology makes charging effortless. Simply place your Qi-enabled smartphone in the holder to start wirelessly charging – it’s that easy! 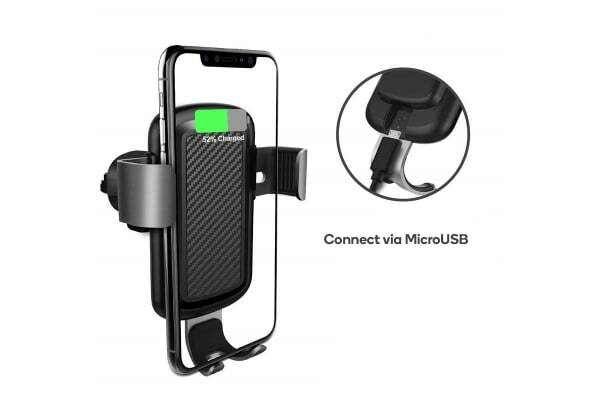 Pair with the Kogan Dual QC 3.0 Fast Car Charger for the most-efficient high-speed charge possible for your device. 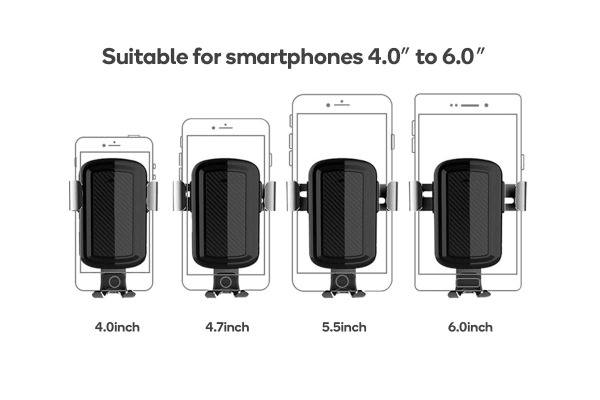 Plus, you can rotate your phone the full 360° in the mount without worrying about tangled wires, while the unique gravity adjust-system keeps your phone securely locked in place and only releases once removed. *To take advantage of the Fast Charge functionality, use with a fast charging adaptor. Place your wireless charging compatible device on the wireless charging pad to start charging.